The new Home Fragrance Trend Report for Autumn/Winter 19/20 is now available to buy online in PowerPoint & pdf ebook format. These trend reports have history! I’ve been producing them for over a decade for fragrance manufacturers, global and local brands. The idea behind the report was always to bring a complete fragrance solution and trend presentation, ready to use, to those in the industry. I spent lots of years seeing lots of trend reports that were full of lifestyle and fashion information, but nothing that provided fragrance solutions – so I brought the bi-annual, home scent focused, fragrance forecast to life! And as most people in the fragrance/beauty industry know, Autumn/Winter trends can generally only be completed in the middle of a heatwave (as that’s when new collection development starts) whilst playing Christmas songs to achieve the right mood – which was how this years was produced! I’m looking forward to seeing a few of the 145 new fragrance combinations across the 6 trend concepts brought to life. 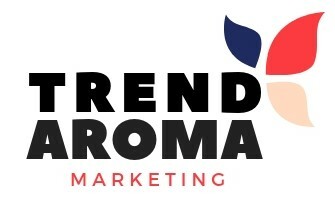 This complete trend report is developed for fragrance industry professionals, which means lifestyle trends and drivers have been monitored, researched and predicted and then developed into fragrance trends, that help you and your team develop commercial home fragrance suggestions for next Fall/Holiday or Autumn/Winter. This unique report is presented in a creative PowerPoint template and as it’s instantly downloadable; new scent inspiration, ideas and ingredient combinations, which are perfect for next year’s new AW19/20 products, will be ready to develop, if you are a fragrance manufacturer or brief to fragrance houses, if you are a brand or retailer, within minutes. Nature and its ingredients influences us more than ever in Autumn/ Winter 2019/2020. The focus on the natural world is an undercurrent through each of the 6 key trend concepts. Consumers are being introduced to the concept of wellness on a whole new scale. Add in a spirit for adventure and discovery, the desire to try more unusual and more complex scents and the search for something a little niche and you see why the home fragrance market is becoming more sophisticated. That doesn’t mean we will lose our fondness for the ingredients we have loved, that are part of our scent memories for the colder months, it just means we will see them teamed up in new ways. The fantasy concept is also making a comeback, but this time the scents must have provenance. We have seen mood therapy as an inspiration and brands introducing the idea of a scent as an experience like ‘The Perfect Autumn Day’, but this time we want that idea represented by real ingredients. This entry was posted in Home Fragrance. Bookmark the permalink.